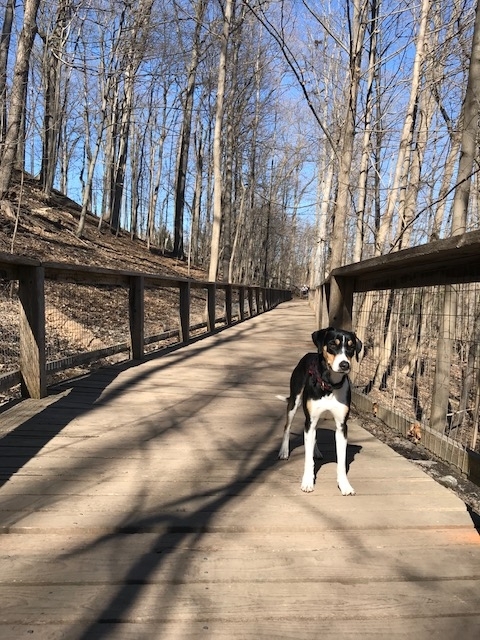 When it comes to my schedule outside of work, most of my time is spent making my sweet rescue pup, Billie Jean, happy. Yes, I’m now one of those people. 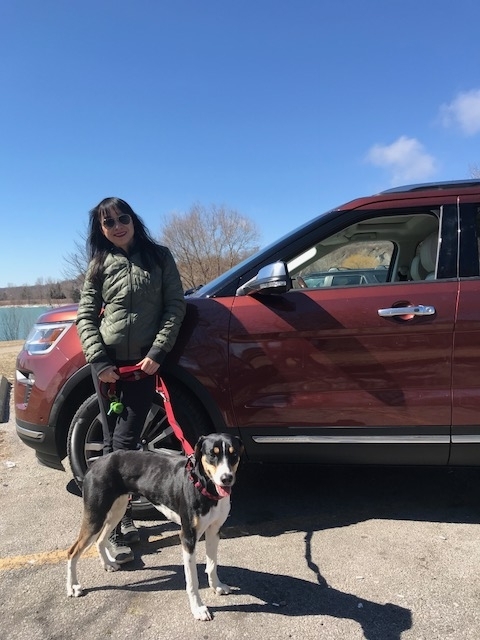 So with the opportunity to get a Ford Explorer from Ford Canada and show Billie Jean parts of the city she has not yet seen, I jumped at the chance. 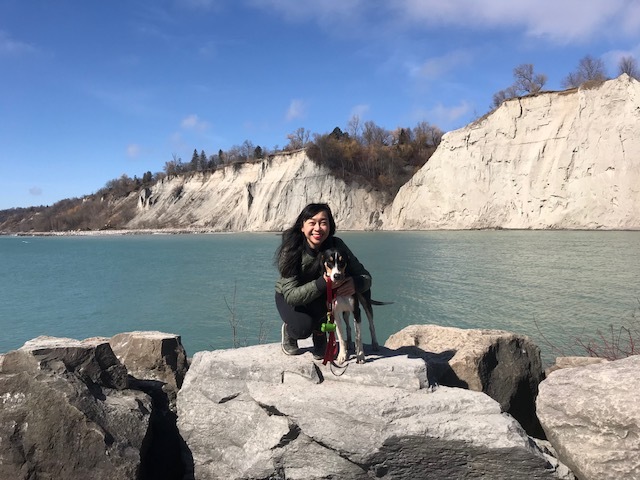 She’s only been in Canada a year, so there’s so much she hasn’t experienced yet and even though dogs are permitted on the TTC in non-rush hour times, there are adventures that are so much simpler to do with a car. Let’s first talk about this vehicle, though. I don’t know if it’s because I haven’t driven in a few months, but the Explorer is one big SUV. I thought I’d get used to it the more I drove it over the four days, but I have to admit I didn’t. However, while it made it nerve-wracking for me (the infrequent driver) to park — I think I spent 20 minutes in my underground parking trying to get it into the only available spot, which was the worst spot of the whole parking garage — I always felt safe in it. The blind-spot assist function is something I appreciate as well as the easy to use GPS (this is a must for me given I have no sense of direction and being lost is a huge stressor for me). In terms of comfort and how easy the car is to use, I liked the Billie Jean hopped right into the backseat (that’s her ultimate seal of approval, I have had vehicles where she seems unsure of what to do with herself), and things like the button to shut the trunk door and to lower the last row of seats (making it easier for me to view out the rear window) make it a relief to drive. And while I’m no expert on driving, from my perspective, I felt like it handled smoothly (braking is nice and smooth, accelerates how I’d expect it to based on how I much I’m stepping on the gas, and even just how the actual steering wheel feels in your hands; the simple things you may not notice when the car runs smoothly like this one did, but are glaringly obvious when they’re not comfortable to the touch or driving experience, in my experience anyhow). I learned how well it drove over the course of a few days, and first up was a spa day for Billie Jean. We rolled up to Park9 in the Distillery District, where Billie Jean enjoyed a massage bath, she get a mani (well, her claws were trimmed) and best of all, she got a blueberry facial. How cute is that? She came out smelling so fresh and clean and her fur was absolutely brilliant! The rest of our time was spent visiting friends and going to parks we can’t access simply. 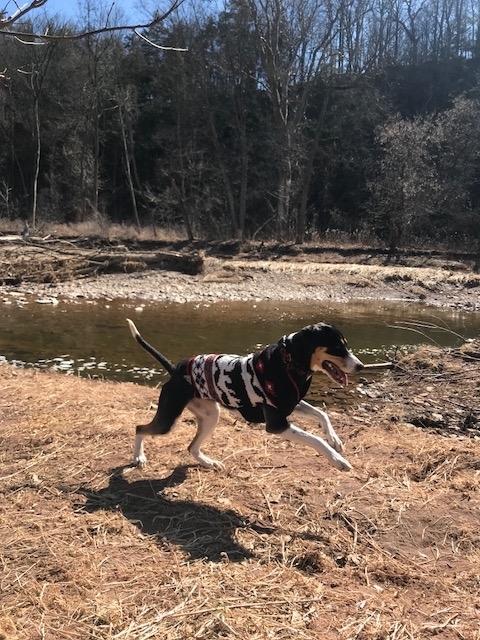 This included Sherwood Park, which is a lovely park to trek around with a large off-leash section, and also Sixteen Mile Creek in Oakville, where Billie Jean got to sport her adorable new Nordic sweater. 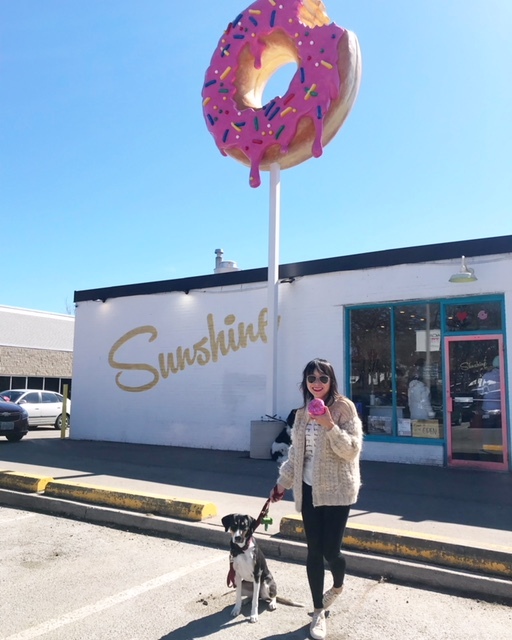 Before stopping into Oakville, we went to make a small pit stop in Burlington as I was keen to try Sunshine Doughnuts (where Billie Jean wasn’t very pleased that she did not get a doughnut for herself). And for our last dog-fun outing? 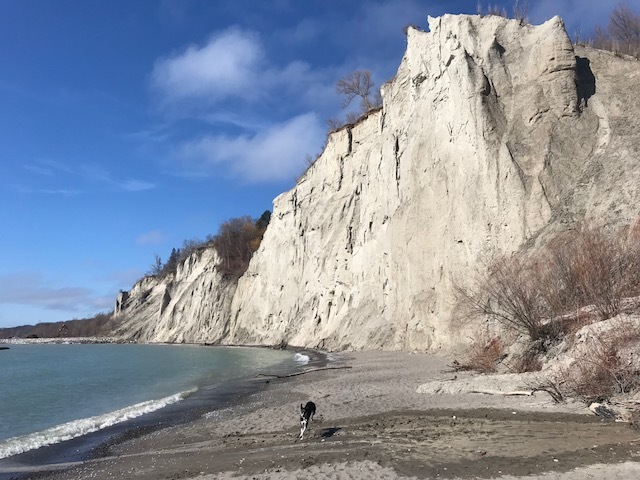 A visit to Scarborough Bluffs, which was blissfully quiet and serene on a weekend morning. 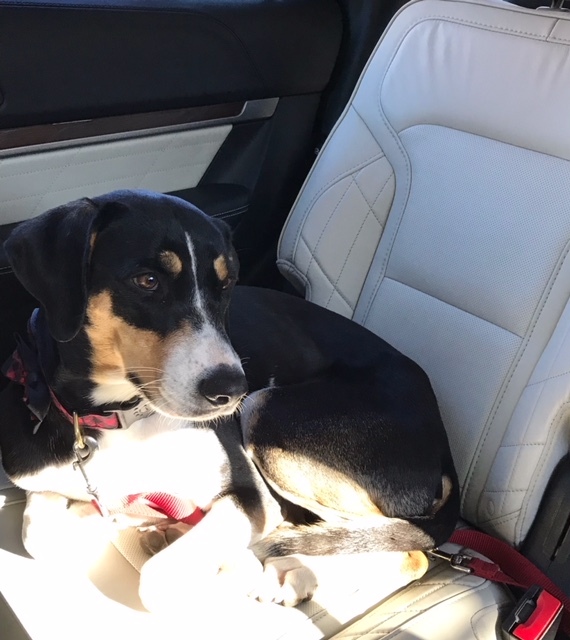 If you’ve ever met Billie Jean, you can easily tell when she’s having the time of her life, and I know that she felt like she was living her best life on these adventures in the Ford Explorer. I took advantage of having the Ford SUV to also do a little exploring of my own, too. Namely, a food adventure. I picked up friends (did you know the Explorer seats six people?) and we headed to Fishmans Lobster Clubhouse, which I have long drooled over when I’ve seen posts of lobster towers on Instagram (and you may recognize the restaurant as it was recently featured on David Chang’s Ugly Delicious). 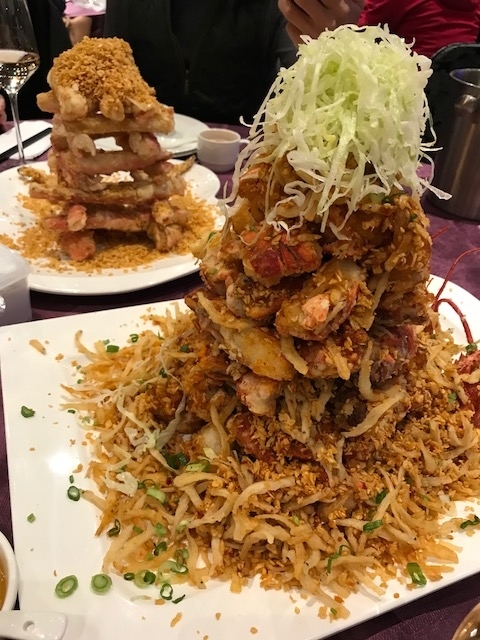 It’s a set menu so my friend in the know insisted we go with a big group of people, so with the Explorer, we were finally able to make our lobster tower dream come true. And it was so worth it. I can see this becoming an annual trek to Markham. 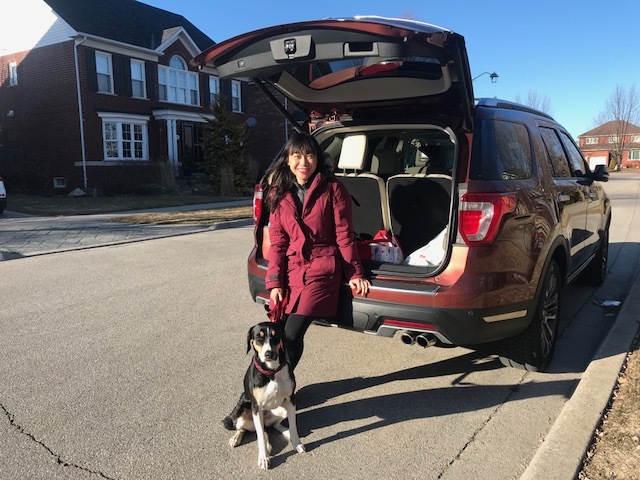 I reluctantly returned the Explorer and handed back the keys, but ended our explorations around the city with one happy dog (and one full and happy belly myself). You can check photos on Instagram with the hashtag #FordDogDays! And I’d love your recos of where to go on future outings with this pup!